What type of heat pump and position will suit your house best? Reverse cycle heat pumps can heat the room or cool it at the touch of a button. There are several types of heat distribution to choose from. 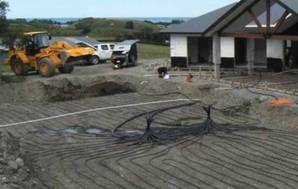 Ground-source heat pumps extract heat from the ground – and in cold climates this is more efficient than extracting it from the air like a conventional heat pump. But there are catches.